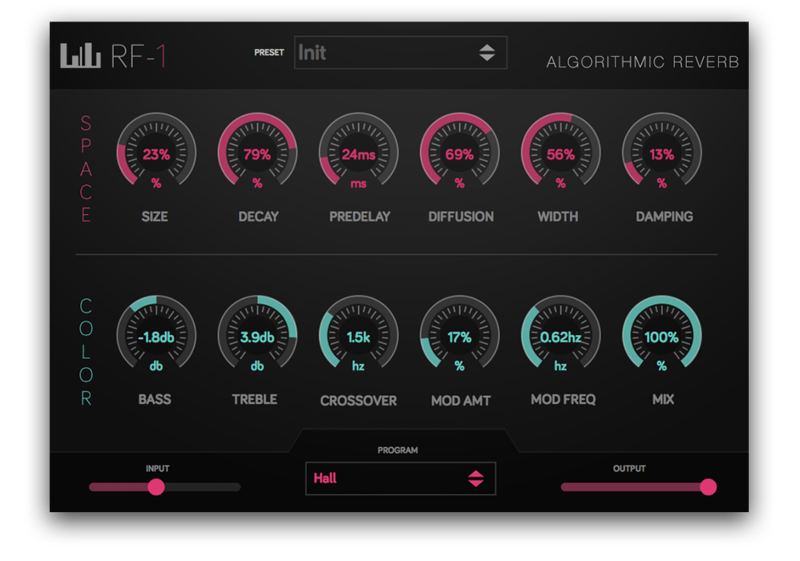 RF-1 comes with a number of unique reverb algorithms including Hall, Plate, Tremolo, Ensemble and VintageVerb. Dedicated sections for Color & Space controls allow for quick and easy editing. From input to ouput, RF-1 applies true stereo processing in every step of the signal chain. 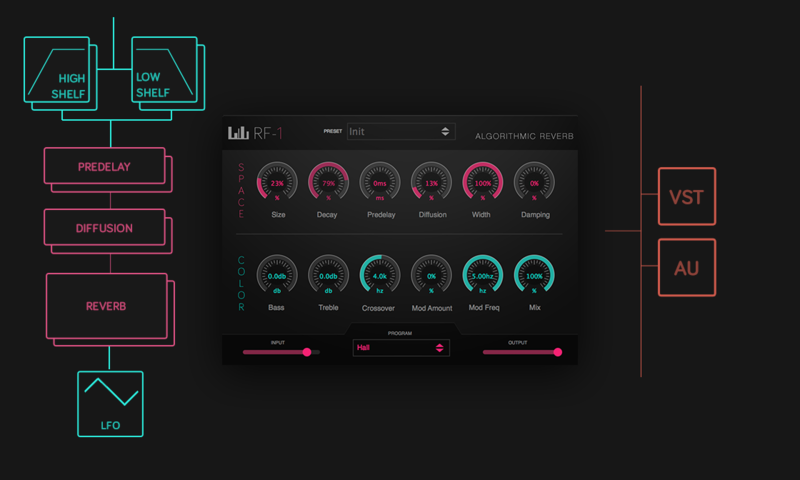 RF-1 comes in both, AudioUnit an VST format and works equally well on Windows as it does on Mac OSX. 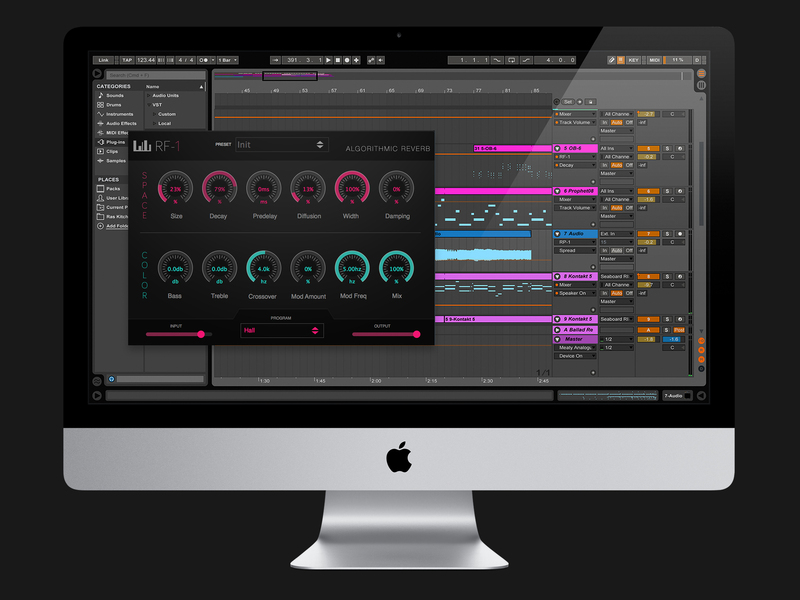 On the Mac, RF-1 supports both, AudioUnit (AU) or Virtual Software Instrument (VST) format. On Windows, RF-1 ships in VST format and comes with both, 32bit and 64bit versions. RF-1 comes with a fully functional but time limited demo.